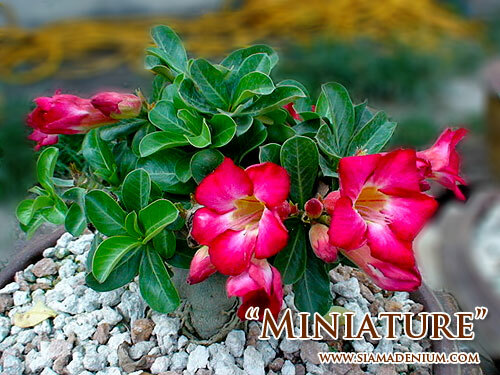 Today I would like to share new adenium hybrid came from mutation. This mutation will make normal adenium characters or forms change to new ones. 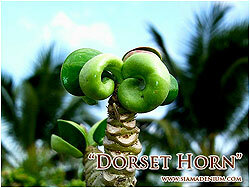 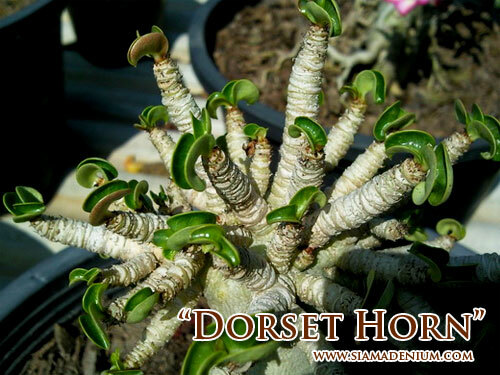 I would like to introduce “Dorset Horn” ‘s mutation impact to leaves, branches, and flowers. 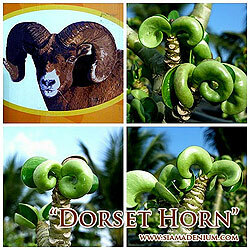 “Dorset Horn” mainly happens on a leave which makes it curved down like horn. 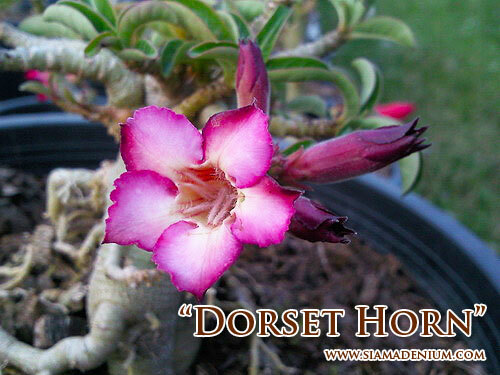 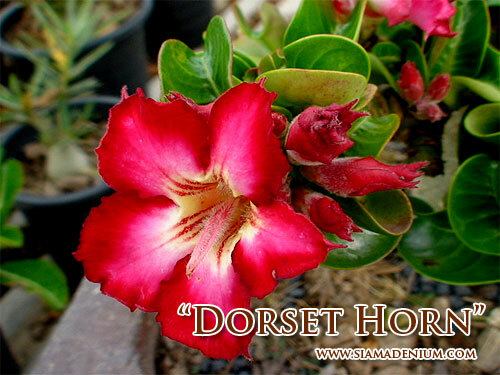 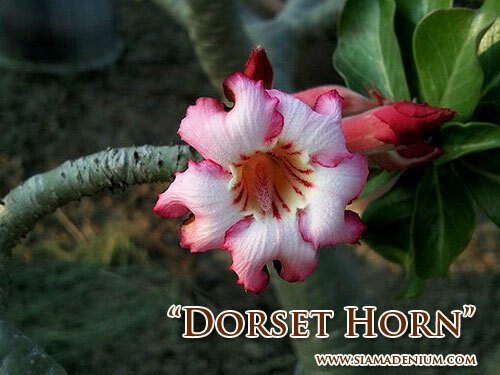 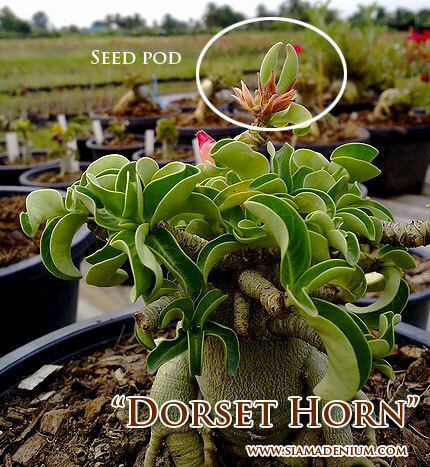 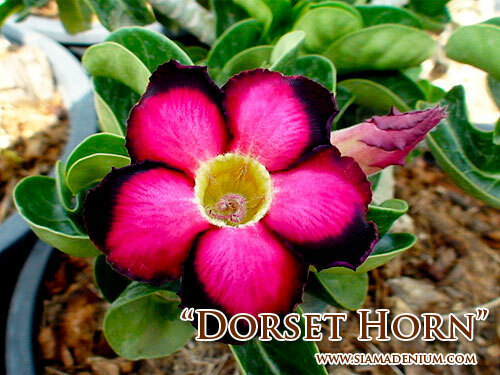 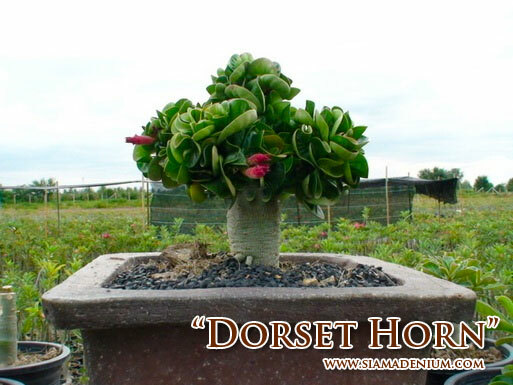 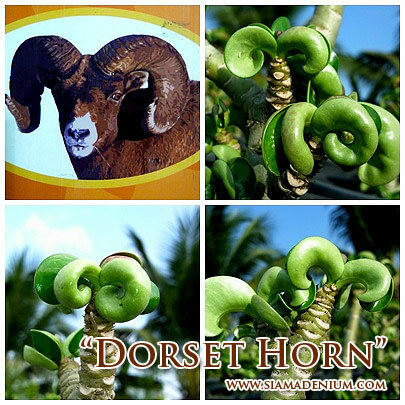 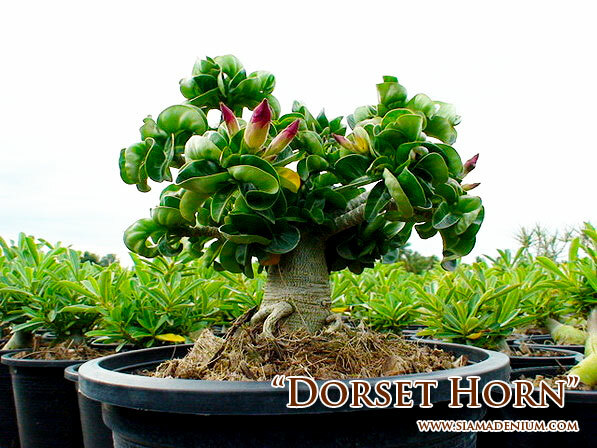 This “Dorset Horn” characters can happen to every adenium species such as Arabicum, Obesum, Somalense but it’s very hard to happen. 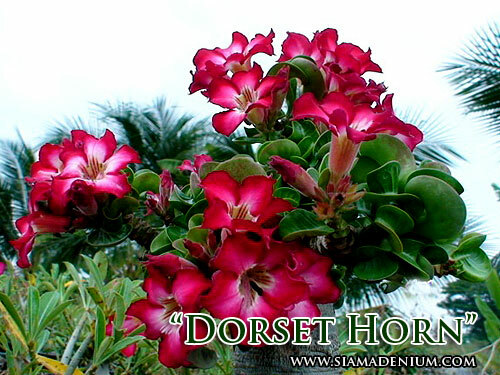 The “Dorset Horn” mutation on Adenium was firstly found on Adenium Multiflorum discovered by Mr. Somsak, my adenium master, for 12 years. 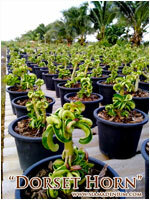 He owns the original mother and firstly gave a name as “Kao-Kae”. 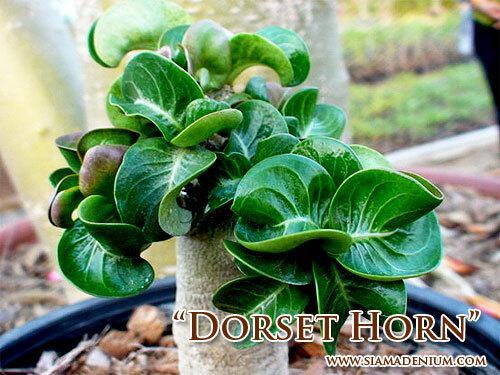 Leaves are pretty curve down and twist like Dorset Horn, shiny, thick, white border and inflate white bone. 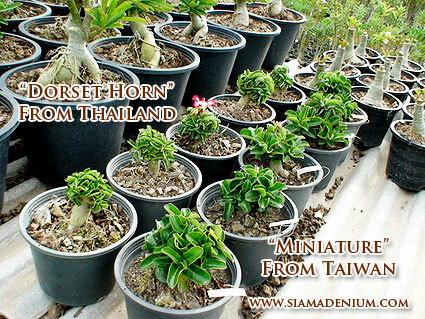 Each branch has many frequent internodes and compact or dwarf style so we can grow and maintain her to become Bonsai. 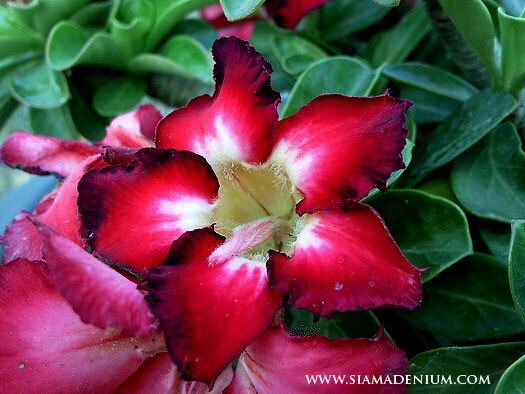 Flower has 15-25 red or pink lines in the throat.